Welcome to St. James House, a classic Georgian style home built by Polygon. This large 1,194 sq. ft. first floor 2-bedroom and 2-bathroom corner suite features an open floor plan that maximizes daylight and living space. Entertain or just escape fast-paced city life on the private 364 sq. ft. patio (BBQ O.K.) surrounded by a mature garden. Features include: gas fireplace, in-suite laundry, 1 locker and 2 parking stalls. Amenities include: gym, steam room, sauna, hot tub, billiard/party room, visitor parking, 2 guest suites and a resident manager. Proactive strata, recent work includes: roof renewal and front lobby upgrade. 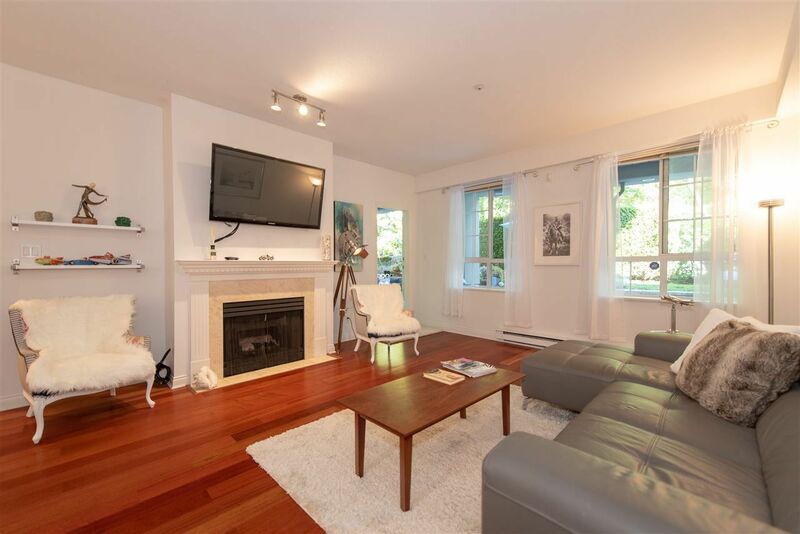 Located within walking distance to Pacific Spirit Park, UBC, UHill Secondary, transit & Wesbrook Village shops/cafes.